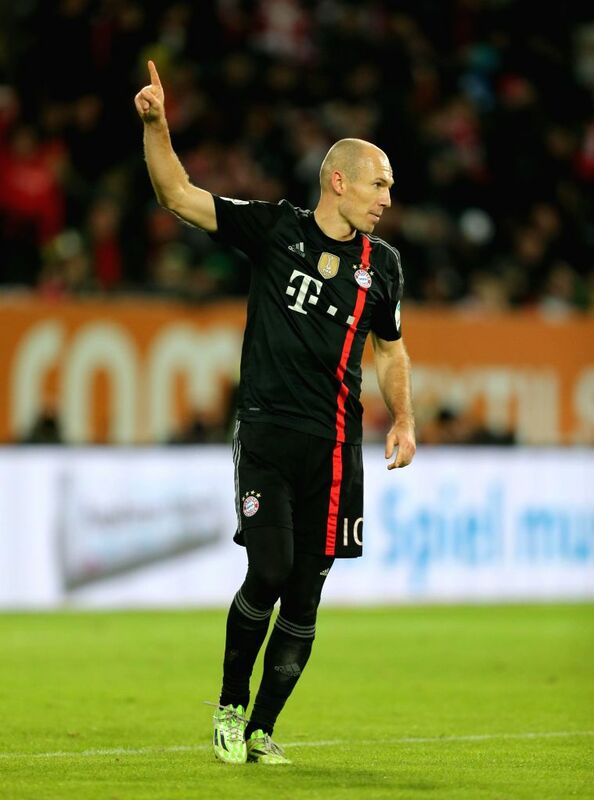 AUGSBURG, Dec. 14, 2014 - Bayern Munich's player Arjen Robben celebrates his goal during the German first division Bundesliga football match between Bayern Munich and Augsburg in Augsburg, Germany, on Dec. 13, 2014. Bayern Munich won 4-0. Bayern Munich's player Arjen Robben (R) competes during the German first division Bundesliga football match between Bayern Munich and Augsburg in Augsburg, Germany, on Dec. 13, 2014. Bayern Munich won 4-0.